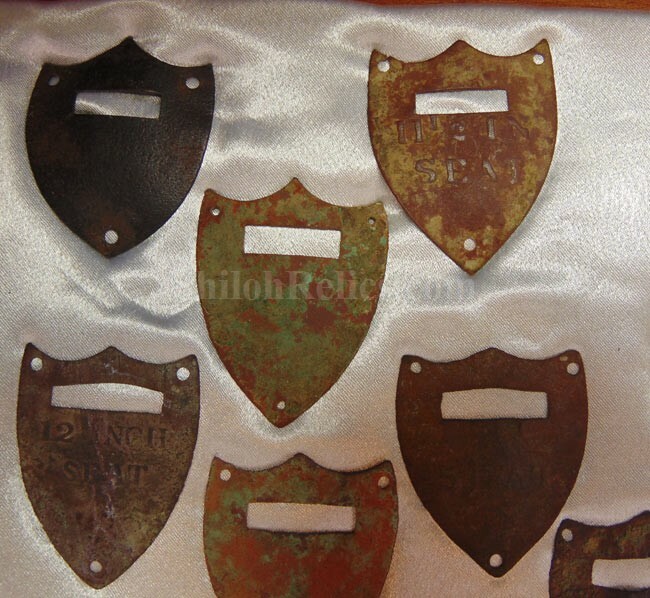 Here is a great looking framed set of 25 saddle shields. 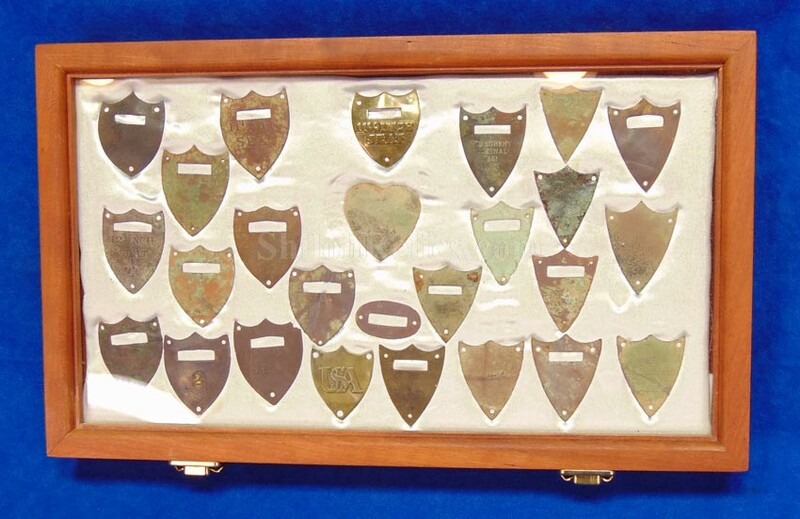 This collection consists of 25 pieces of brass insignia. 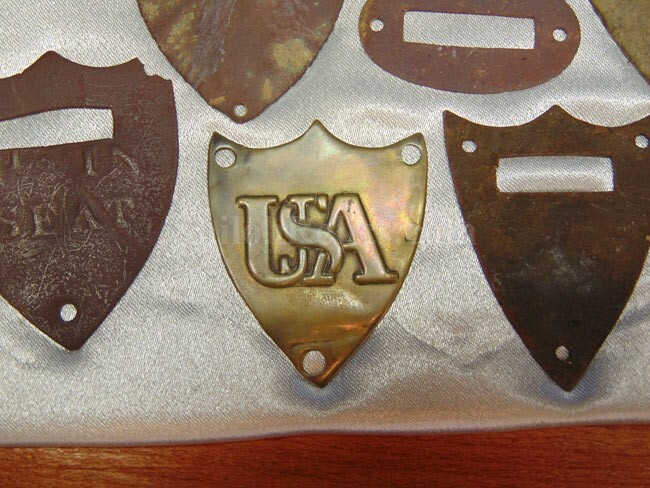 These are the pieces that went on the front of the soldier's saddle. 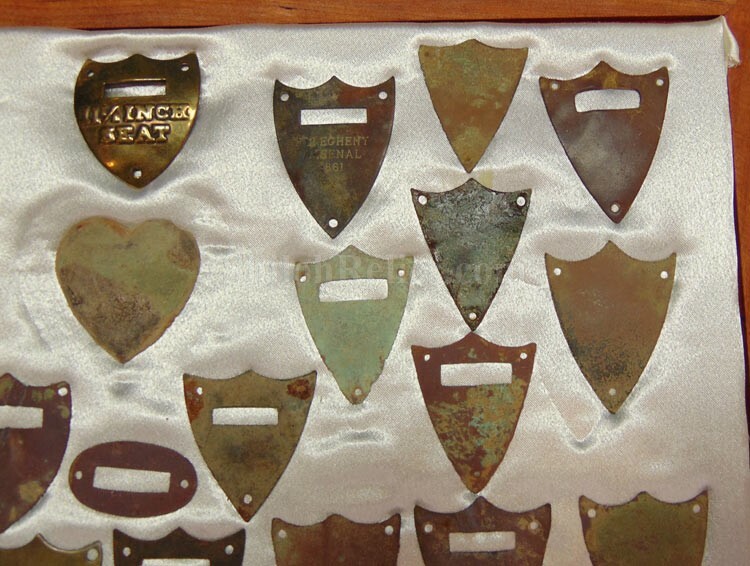 They are known to collectors as saddles shields for obvious reasons. 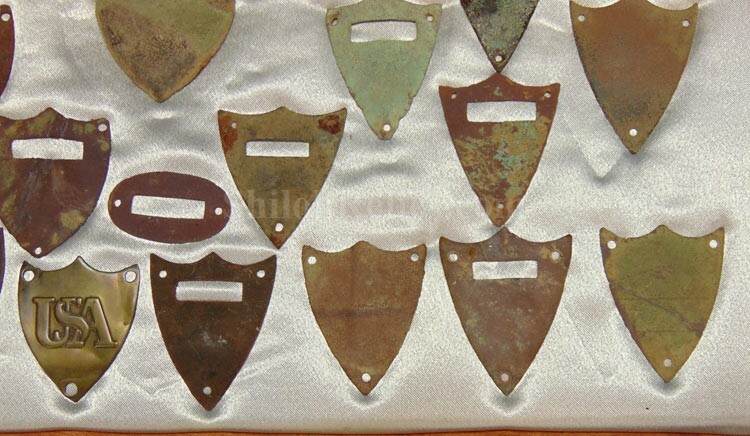 What is great about this group is not only the large quantity of pieces but also the variety of styles. 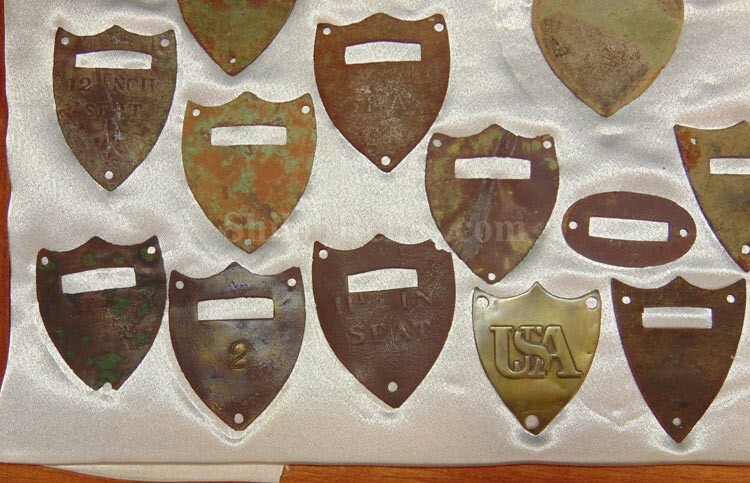 One of them is the 1861 dated Allegheny Arsenal version and another is a non-dug "USA" artillery shield. 23 of them are excavated and the other 2 are non-excavated. There are at least 10 of them that are Confederate in manufacture in my opinion. 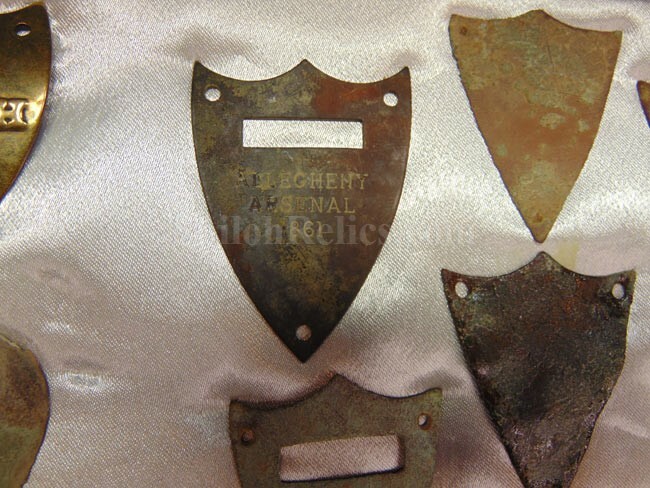 You get all 25 of them and they are in a nice cherry frame that is ready to hang on your relic room wall. The frame measures 16 inches by 9-1/2 inches in overall size.